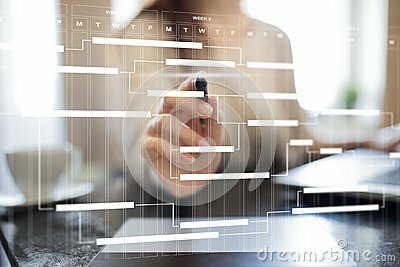 Time management project planning business internet technology concept. Inscription, headline - deadline. A word writing text - deadline, made of different magazine newspaper letter. Project management.